Book your free ticket to this event in aid of Tearfund being held at St Peter’s on Thursday 18th October. 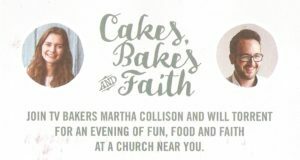 Join TV bakers Martha Collinson and Will Torrent for an evening of fun, food and faith. 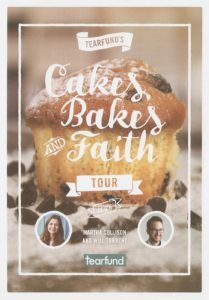 Budding bakers can bring home-cooked treats to be tasted by Will and Martha live on stage but you must let the event organisers know at least three days before the event. Email [email protected] to enter the competition.